Dennistoun Diggers are holding the annual Community Christmas Craft Fair on Saturday 26th November, from 11am to 4pm at Dennistoun New Parish Church Hall, Armaradale Street, G31 2UU. Entry is free, and the event promises to be lots of fun for children and adults alike. 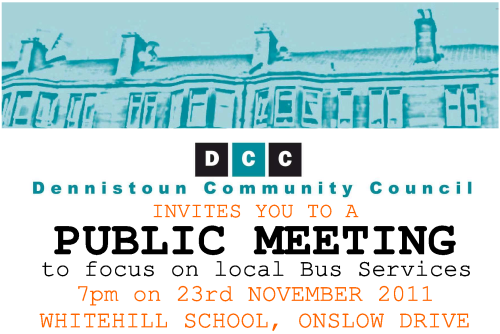 Next meeting: Tuesday, November 8th, 7pm at Whitehill School. 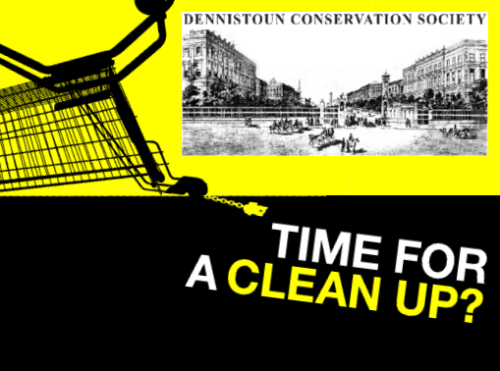 The Community Council has been contacted by a member of the public regarding the new arrangements for collection of non-domestic/bulk refuse, as indicated by Glasgow City Council. The clean-up usually arranged for first Saturday of each month has been put back a week to 12th November so participants can respond to litter caused by bonfire night activities.